Camping is a popular get-a-way option for families and friends. It’s a fun experience that allows you to enjoy the fresh air, explore the limitless bounties of nature and serves as a simple reminder of life with limited or no technology; a surefire way to regroup, unplug and truly relax. Food however, can be an can sometimes be an issue. Anything that’s even marginally appealing takes ages to cook on a standard camp fire. Sure you can do the beloved S’mores (as you should do) and of course, you can grill simple hamburgers and hot dogs, but let’s face it, that can get boring after a day or two. However, that shouldn’t deter you from experiencing some fantastic foods just because you’re away from home and in the middle of nature. We at Appetizers USA are here to make sure that isn’t the case. We’ve picked out some of the most appropriate foods from our wide selection ranging from over 200 different recipes to make sure that no matter where you go camping, the food you get is still world class. The best part is that all these dishes are served cold and require no cooking whatsoever. Perfect for a camping trip of any nature, wouldn’t you agree? Here are some camping-approved appetizers to enjoy around the fire. 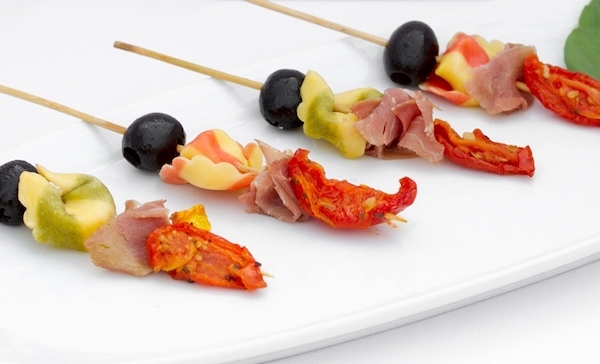 Eating off skewers is an essential ritual of camping and we allow you the opportunity to fulfill that ritual with our scrumptious antipasto kebob with prosciutto. A flavorful combination of ham, cheese tortellini, olives and tomatoes, that will leave your mouth watering. For more details, images and preparation instructions here. 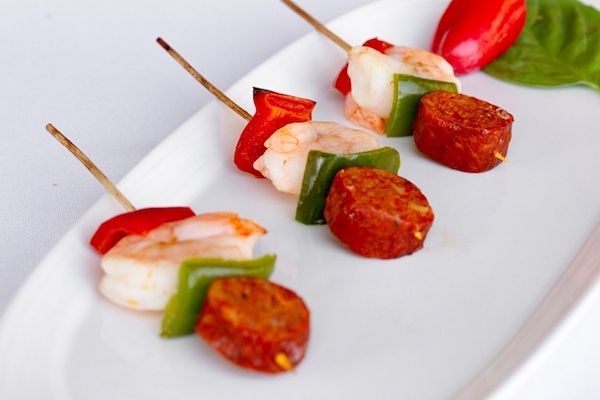 Another must-have kabob for camping is our spicy New Orleans style Andouille sausage, skewered with a delicate large shrimp and crisp red and green peppers on a 6" skewer. Adding some spice into your food is a great way to add a little extra twist to your camping experience. Learn more here. It wouldn’t be a proper camping trip without adding some sweets into the mix. Besides the traditional S’ mores, you’ll want to bring something that everyone, children and adults, will love. 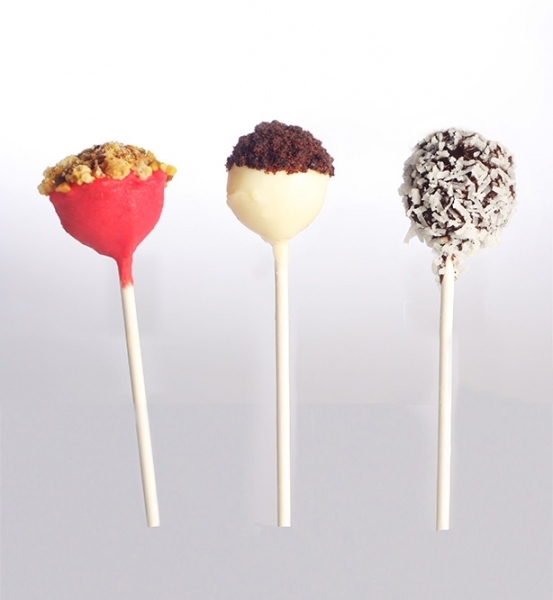 Our Gourmet Cheesecake Pop Assortment is the perfect way to satisfy a sweet-tooth, without the mess. Click here to learn more about this decadent dessert assortment, consisting of the following three delicious flavors: strawberry and pistachio, mocha coffee with cookie crumble and milk chocolate with coconut. Trust us, you’ll have the other campers jealous. There’s something about camping, especially if you do it in the fall or winter months, that makes you crave “comfort food”. Being surrounded by family and taking in the brisk, fresh air, you can’t help but want something a little bolder and filling. Might we suggest our Mushroom Tarts? They’re perfect because they give you that satisfaction without being quite too heavy. 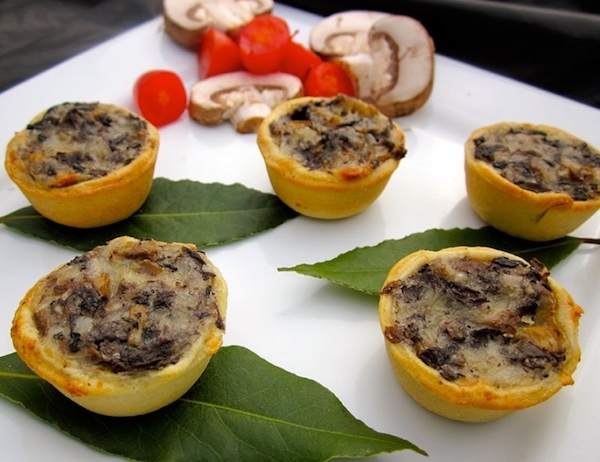 You get Shiitake, oyster, Portobello, cremini mushrooms, button mushrooms, fresh herbs and Swiss cheese filling in a flaky handmade tart shell, for an irresistible tasty flavor and comfort. To learn more, click here. 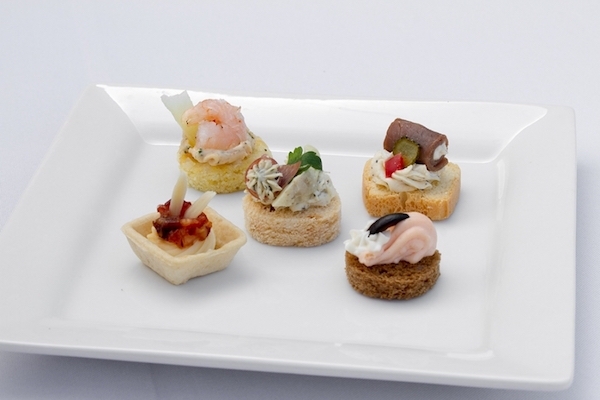 Our cold canapé assortment has a wide variety of different foods including shrimp, roast beef and salami, seasoned and garnished with a variety of options that will cause a taste explosion on your pallets. You really can’t go wrong with these because there is something for everyone to choose from. For more details, images and preparation instructions, click here. Just remember, you don’t have to be going camping to enjoy all these amazing recipes since we cater to all kinds of retail customers for a variety of events of all shapes and sizes. Not just that, even Party Organizers, Catering Businesses and Food Service Professionals take advantage of our Wholesale Party Appetizers. If you have any queries or would like more information, don’t hesitate to give us a call at (480) 471-2601.